San Clemente is located in Orange County. San Clemente is surrounded by Dana Point to the North, Oceanside to the South, the Pacific Ocean to the West and Fallbrook to the East. San Clemente was incorporated in February of 1928. The San Clemente city slogan is the “Spanish Village by the Sea,” because of the combination of seaside location and Spanish Colonial style architecture. The population is approximately 64,000 people. San Clemente is ideally situated half way between Los Angeles and San Diego. There is 62 miles between San Clemente and Los Angeles and 60 miles between San Clemente and San Diego. San Clemente has a large variety of properties to choose from. 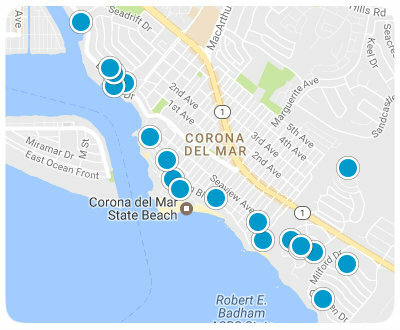 San Clemente is the most affordable beach front town in Orange County; prices can be half of what they are in Laguna Beach and Newport Beach. 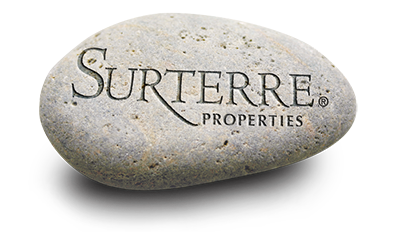 Let the Franco Team’s real estate professionals help you find your perfect home in San Clemente. San Clemente is divided into nine sections; San Clemente Central, San Clemente Southwest, San Clemente Southeast, San Clemente North, Coast District, Foster District, Foster Ranch, Marblehead, Rancho San Clemente and Talega. Homes range in price from 160,000 dollars for small condos to ten million dollars for a custom built beach front estate. Home prices are dependent on views, location, size and neighborhood amenities. There many different neighborhoods to choose from in San Clemente including Coral Pointe, Cyprus Shore, Bay Cliff Village, Alisal Homes and Bella Vista. There are both guard gated and non-guard gated communities available in San Clemente. The views available in San Clemente include; the Pacific Ocean, Catalina Island, whitewater, surrounding mountain and breathtaking sunsets. San Clemente students attend schools in the Capistrano Unified School District. There are six elementary schools serving San Clemente, three middle schools and one high school. The elementary schools are Truman Benedict, Concordia, Las Palmas, Clarence Lobo, Marblehead and Vista del Mar Elementary Schools. The middle schools are Bernice Ayer, Shore Cliffs and Vista del Mar. The only high school is San Clemente High School. The San Clemente High School surfing team has won 6 out 7 of the most recent NSSA national surfing titles. There are also thirteen private schools in San Clemente. These schools include Heritage Christian, St. Michael’s Christian Academy and Talega Preparatory Academy. San Clemente has beautiful weather year round, making it possible to take advantage of the many outdoor activities available in the area. San Clemente is well known for its extensive surfing culture. San Clemente has year round swells for surfing and many areas for catching waves including; the Trestles, Lowers and Uppers, Riviera, Lasuens (Last Winds), The Hole, T-Street, The Pier, Linda Lane, 204, North Beach and Poche Beach. Besides surfing, there are many outdoor festivals throughout the year, for residents to attend. There are several golf courses, a community aquatics center and miles of hiking, biking and walking trails throughout San Clemente.